Season tickets with the Bucks are the most AFFORDABLE and EXCLUSIVE way to enjoy a summer of great entertainment with family, friends, co-workers, and clients! Full season ticket holders receive their favorite seats reserved for them all season long. Season ticket holders also get invites to special events, gifts, and other great benefits. 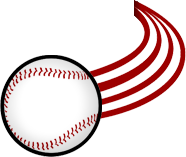 Season tickets are great for anyone who wants to enjoy more relaxing evenings at the ballpark! • A season ticket holder card that will get you into each Bucks away game, and gets you a 10% discount on all merchandise in our souvenir stand throughout the 2019 season! • Access to our special season ticket holder entrance on the first base side! • Admission to our exclusive player meet-and-greet Season Ticket Holder Appreciation Picnic that will include free food and beverage along with an opportunity to meet Bucks players, coaches, and front office staff. • Flexible ticket exchange! Just because your tickets are dated, does not mean they are only good for that date. Exchange your tickets as needed for new ones at the ticket office. Use our NEW Phone Exchange Policy where season ticket holderscan redeem their tickets over the phone by calling the Bucks Ticket Office Monday-Friday from 10 AM to 5 PM. All phone exchanges are final and a credit card is required. This ensures that no ticket gets wasted or goes un-used! • Your favorite seats will be held for you to purchase for the Post-season! • Box seat season ticket holders will receive top-notch in-seat food service, so you do not need to leave your seat! 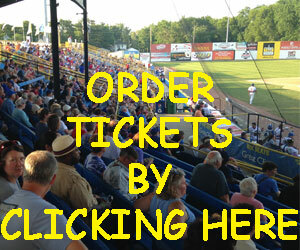 • Option to purchase or to renew your comfortable Riverfront Stadium chair with your name on it that will reserve your favorite spot in the bleachers for each and every Bucks home game! Game due to NWL restrictions. Season tickets are offered in Box seating and Reserved areas. Season tickets save you over $100 for the summer, and are the most economical way to enjoy a Bucks game! To find out if full season tickets or our 10-game coupon packs are right for you, call the Bucks ticket line at (319) 232-5633, or e-mail the Bucks at morgan@waterloobucks.com.